Doenjang, Korea's traditional fermented soybean paste, has been scientifically proven to strengthen the immune system. 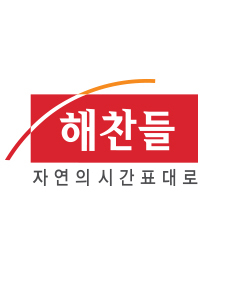 CJ Cheil Jedang announced that its research paper, which verifies Doenjang’s effects in animal tests, has been published in the International Journal of Veterinary Science, an academic journal of veterinary and laboratory animal science. There has been ongoing industry research on the benefits of Doenjang, but most of it has focused on specific effects such as anti-inflammatory functions, and on components or extracts of Doenjang, rather than Doenjang itself. In this regard, the research is of great significance in that the food itself proves to have benefits for the immune system. The paper, which has been published in the international journal, serves as an opportunity to promote traditional Korean fermented paste. The company conducted an experiment by giving Doenjang powder, made from CJ Cheil Jedang products, to mice. Eaten in the same way that humans have Doenjang with meals, the experimental group showed improvements in humoral immunity, cellular immunity, and pathogenic virus immunity compared with the control group. In particular, Doenjang activated more “natural killer cells” that target and kill aberrant cells such as virally infected or tumorigenic cells. This demonstrates that Doenjang can boost resistance to diseases such as influenza or atopic dermatitis, which are fought by the immune system. Meanwhile, CJ Cheil Jedang has been conducting various studies to globally promote the benefits of Korean traditional fermented pastes and products since 2001. It also focuses on fermentation technology using zymogen for the restoration and standardization of traditional fermented paste. Last March, CJ Cheil Jedang attained public attention for its research paper which shows the anti-obesity effects of CJ Cheil Jedang Gochujang (Korean red pepper paste) products containing CJ’s own enzyme. This was also published in the Journal of Food Science & Technology, an international academic journal of food and nutritional science.